We asked Jamaican painter Barbara Matthews von Enger to share her favourite musicans with us. " 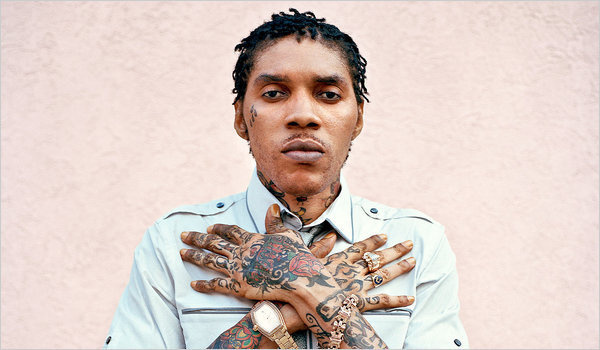 I listen to dancehall artist Vybz Kartel, his Music inspires me, his voice is powerful, rich and smooth, and his lyrics are always changing, very modern, uncensored, fiesty and confident. So, from one artist to another, big up Vybz Kartel! I am wearing a half a frock today, which is inspired by Vybz Kartel hit song Romping Shop!"